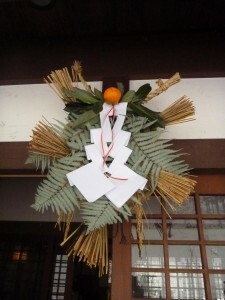 During Shougatsu, Japanese houses are decorated with new year ornaments. 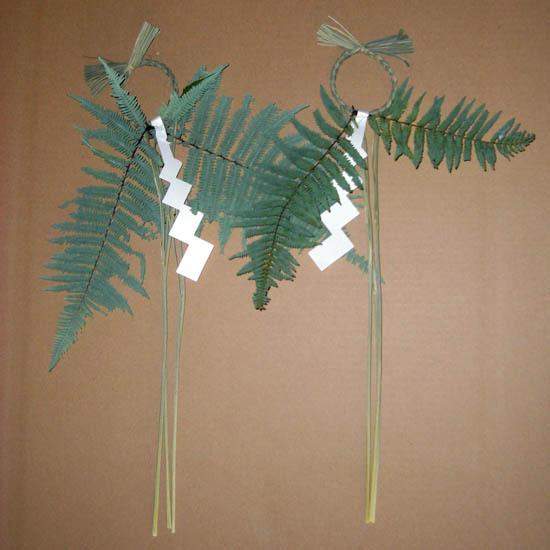 First, at the gate of the house, or at the door if they don´t have a gate, you see a pair of bamboo/pine leaves ornaments. They are called kadomatsu (門松). Kado menas gate and Matsu means pine tree. 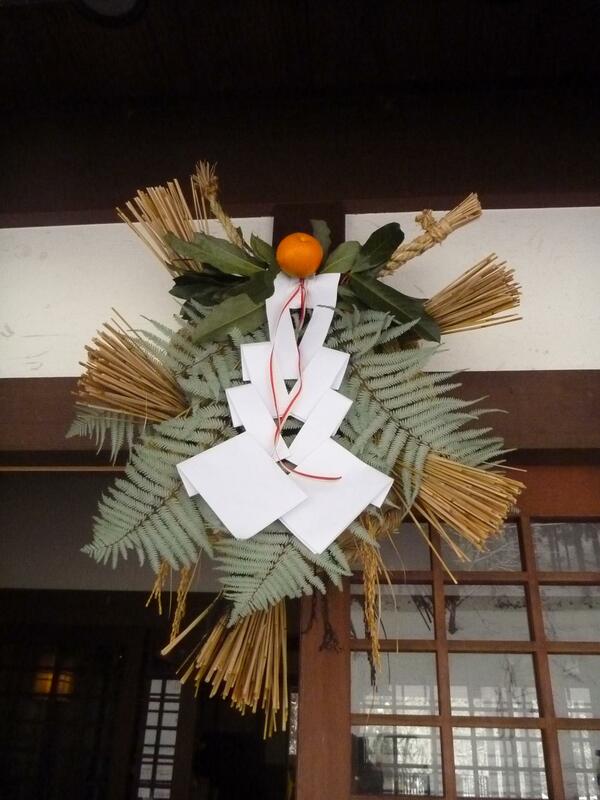 This is set at the entrance of the house as a sign for the New Year God (Toshigami / 年神) to come down from the sky. 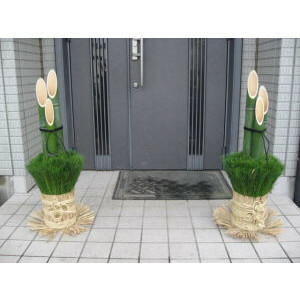 This bamboo style is typical way in Kantou area (eastern part of Japan). Why pine? Since pine leaves are always green, it was considered as a lucky charm. After Kamakura era (鎌倉時代 1185-1333), people started to decorate with bamboo. 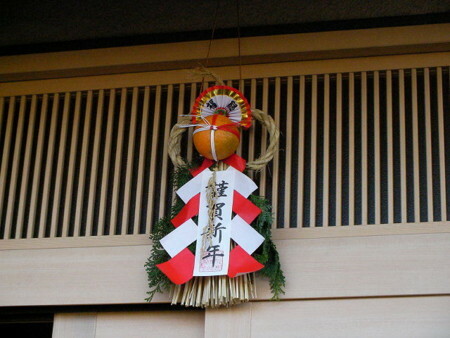 At the entrance door of the house, people put Shime-gazari (しめ飾り). It always amused me because of a daidai (orange family fruit) and by the time we bring it down, daidai was always dried up and covered with bluish mould which made me a little sad. This custom´s origin comes from a long time ago, back to Japanese mythology, Amaterasu Oomikami (天照大神) in Nihonshoki (日本書紀), the oldest Japanese history dating around the 8th century. The story is, one day, this God got grumpy and hid herself behind a rock door. When finally other gods managed to bring her out, they put a rope around Amaterasu to draw a line between the God. This rope was called Sirikume-nawa (しりくめ縄) and even now used for religious services to mark a holy area, often called Shime-nawa as a short version of Shirikume-nawa. Shime-kazari is said to come from Shime-nawa and is put at the entrance door to keep misfortune and unclean spirits away. Usually the most decorative and put at the entrance door. Decorated with Kado-matsu or inside the house, in the kitchen. Now inside the house, there is an important ornament. 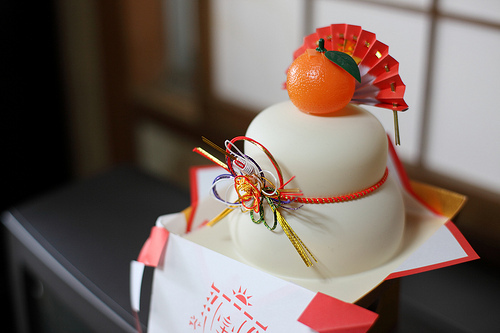 It´s Kagami-mochi (鏡餅) and it looks like this. It´s made of mochi (餅 / rice cake). As it gets hard and moulded during Shougatsu, nowadays you can buy one in sealed with a plastic so it´s still edible after a week time. In my house, we used real mochi and my father would scratch the mould and threw it in the hot water to make it softer. But why it´s called kagami-mochi? Kagami means mirror in Japanese and the origin of this word is said to come from, 1. women used to put this in front of their mirror and 2. the ancient mirror had a round shape. And people started using Kagami-mochi as a decoration on the floor in Muromachi era (室町時代 1336-1573) when the Japanese architect style changed and had tokonoma alcove (床の間) in the houses. The most important thing is when you can set all these decorations. 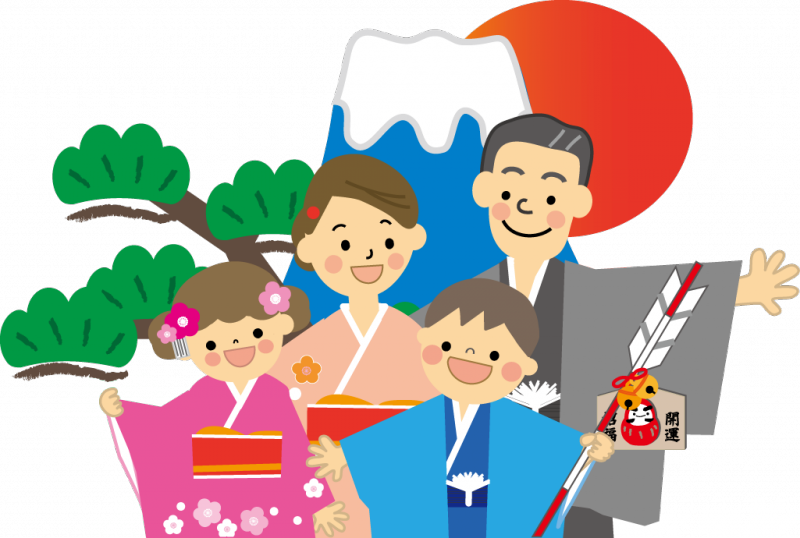 Needless to say, Shougatsu is a very sacred period for Japanese people and they have to be well prepared to receive a new year. First, it´s not good at all you do it on the 31st of December. It´s called Ichiya-kazari (一夜飾り/ one night varnish) and considered as a bad luck. You can´t do it on the 29th either because number 9 has the same sound of "suffer (ku / 苦)" in Japanese and is a bad luck number. So, it´s the best to do the decoration on the 28th of December. Then on the 7th of January, you need to take them dowm. From the 1st to the 7th is called Matsu no Uchi (松の内) and is the period when Toshi-gami stays in our world. Depends on the regions, this date changes but it´s common to clean up on the 7th. 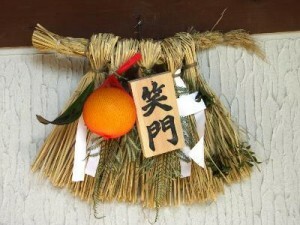 There are more decorations you may see in Japanese family houses but these three things are the most common ornaments. Thanks this really helped with my Japanese homework. I´m glad you found this useful.